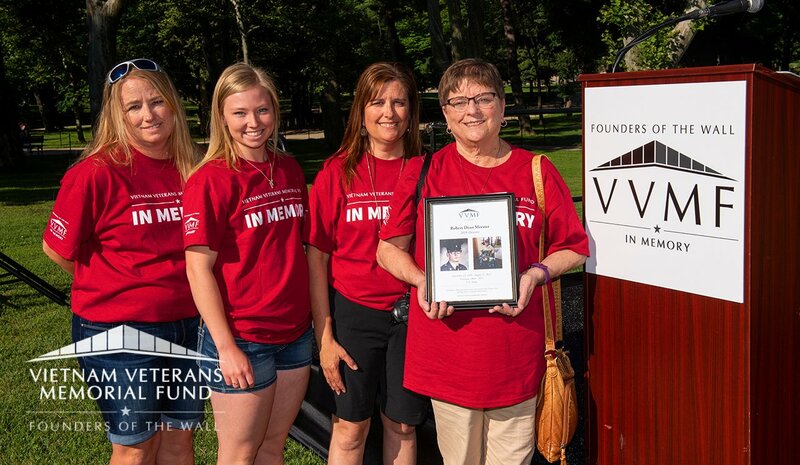 The In Memory program has honored more than 3,600 veterans for the sacrifices they made after the war, and has allowed their families to come together and heal. 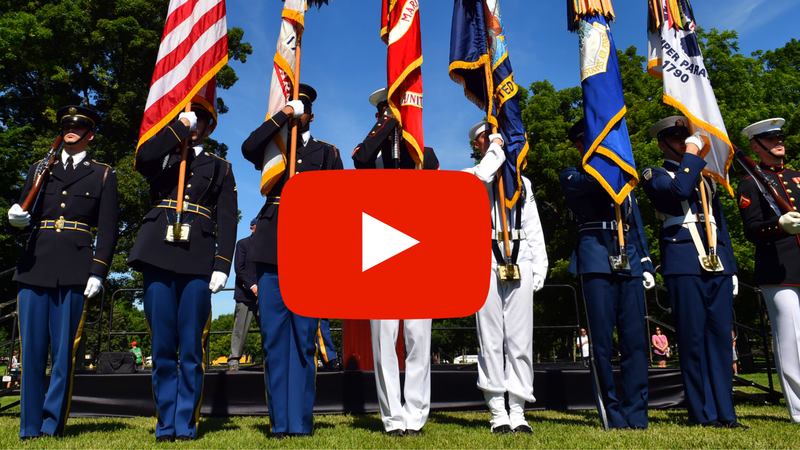 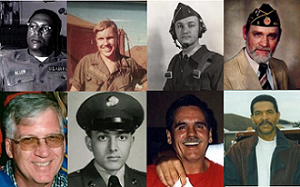 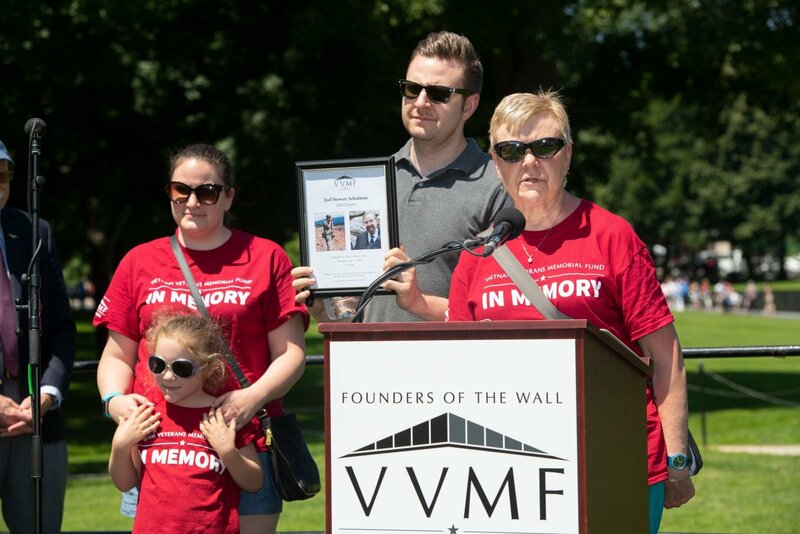 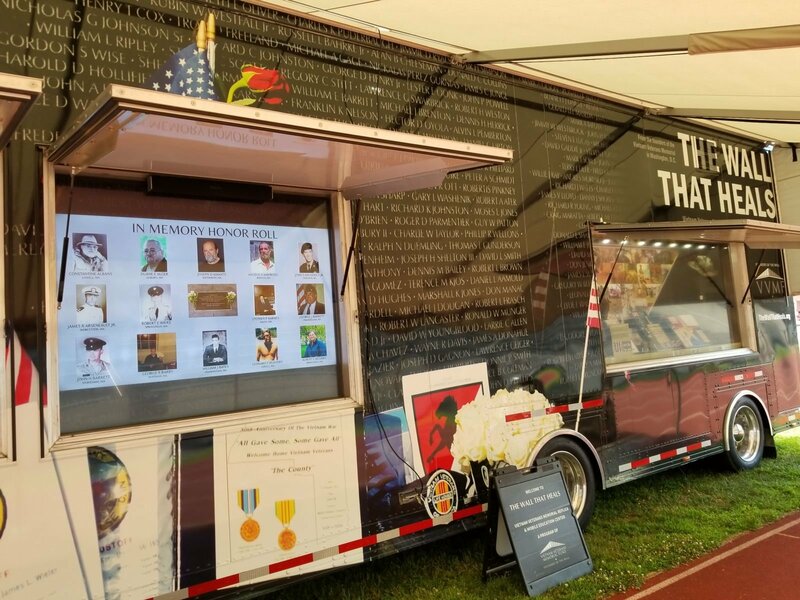 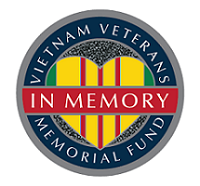 We are asking you to help spread the word about In Memory so we can bring such a deserving honor to so many families and Vietnam veterans who served their country with pride. 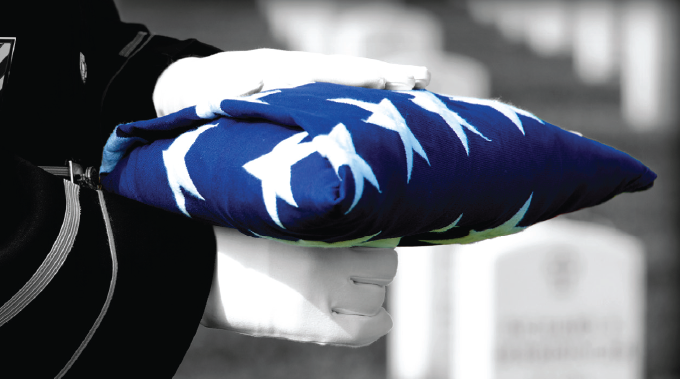 Share In Memory on social media with these graphics and suggested text. 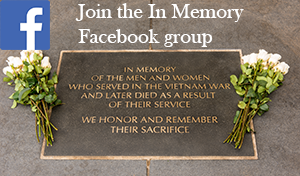 Stay engaged by joining the In Memory Facebook group. 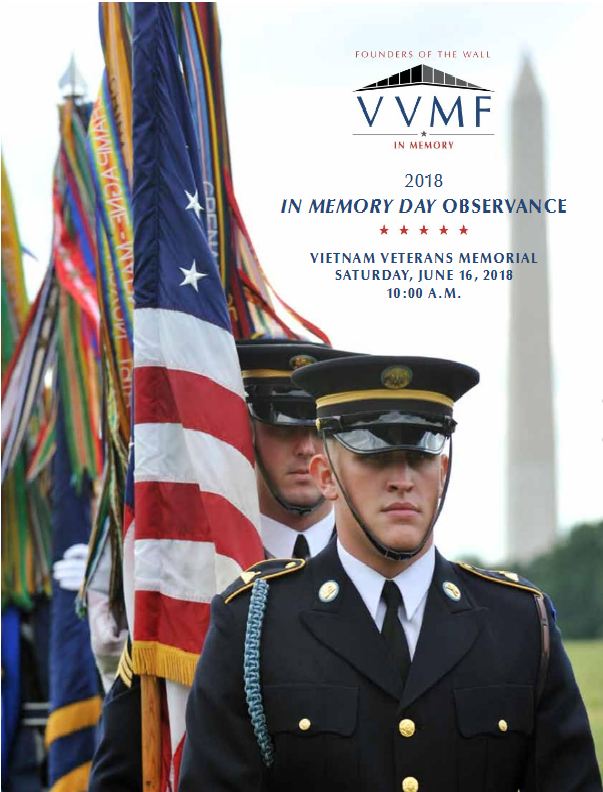 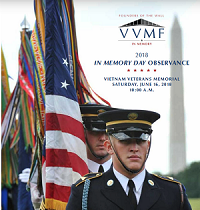 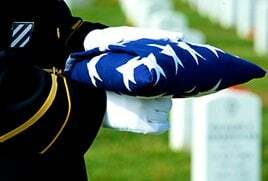 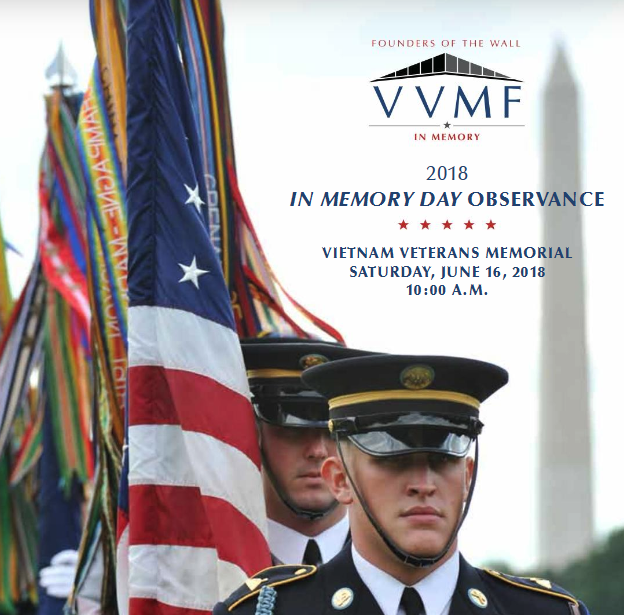 Share the In Memory flyer and brochures with your local VVA, American Legion, and VFW chapters, local veteran's hospitals, funeral homes or local churches. 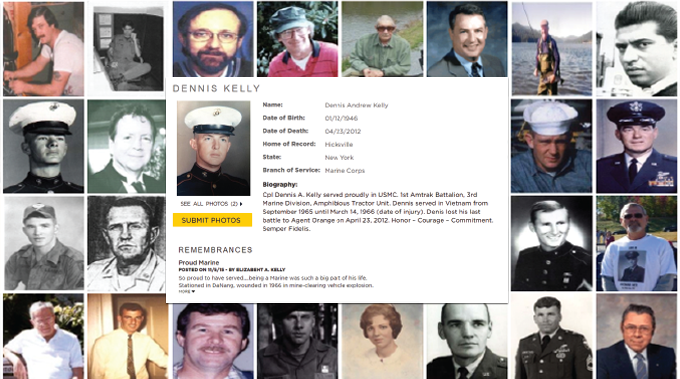 Share our photos. 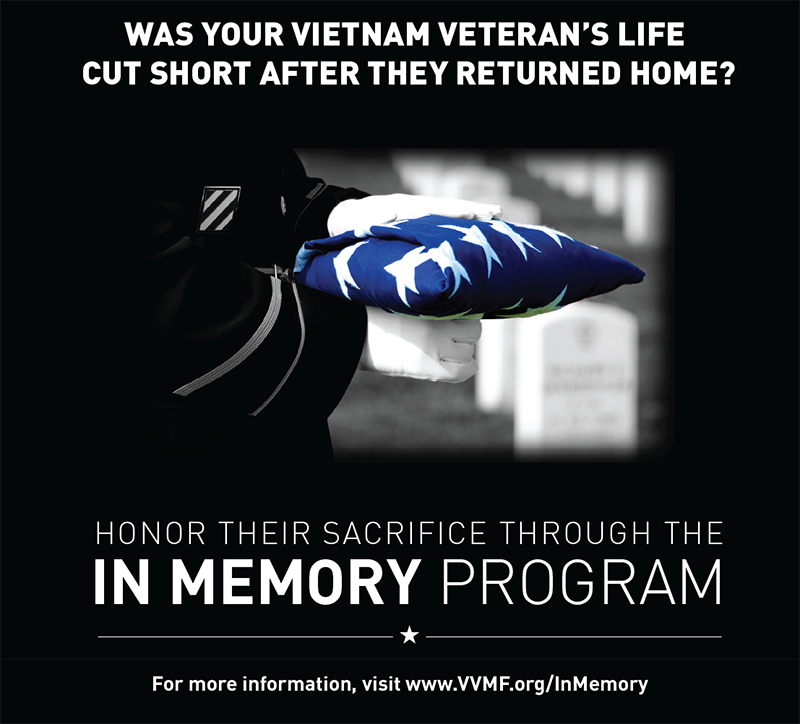 You’ll help us reach families and veterans by spreading our message and program. 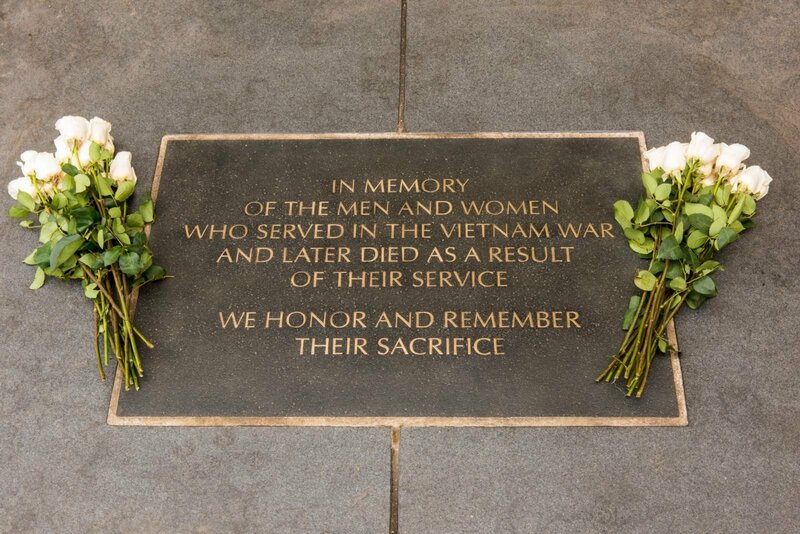 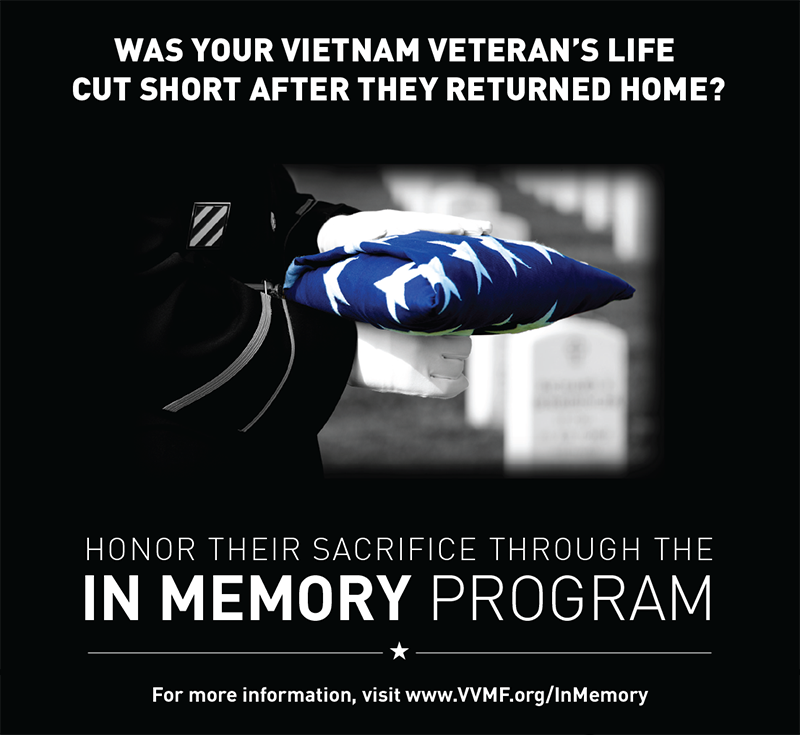 Additional questions about In Memory can go to: Julianna Blaylock at inmemory@vvmf.org or 202-330-4950.